How do you explain the concept of time and a New Year to a 4 year old? He recognises all his numbers and understands days, weeks and months but not a year. I wanted to mark the arrival of a New Year so came up with the idea of paper plate numbers to hopefully reinforce the idea a little. 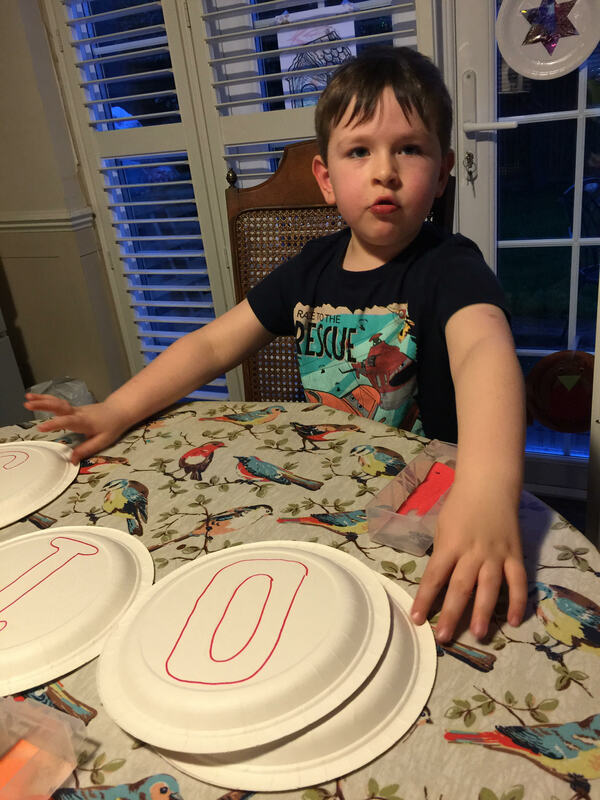 We talked about time and how we measure it, then drew the numbers on four paper plates. We ‘coloured’ them in using some left over craft sand, covering the number with glue and then shaking the sand over each one. 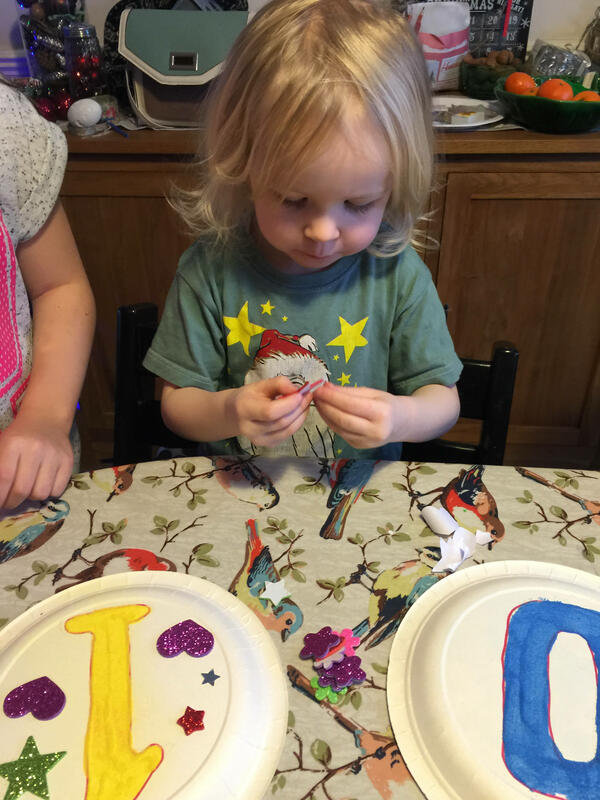 The children loved crafting with something a little different. 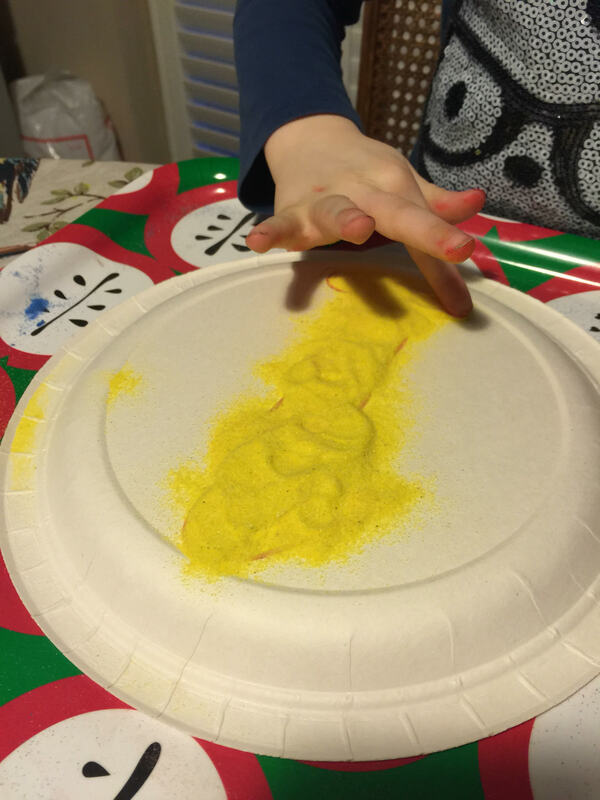 It wasn’t too messy as we put each lot of sand in a small container and put the paper plate on a small tray to contain the mess. When we had finished the children decided there wasn’t enough sparkle so added some foam stickers around each number. The finished result looks great! 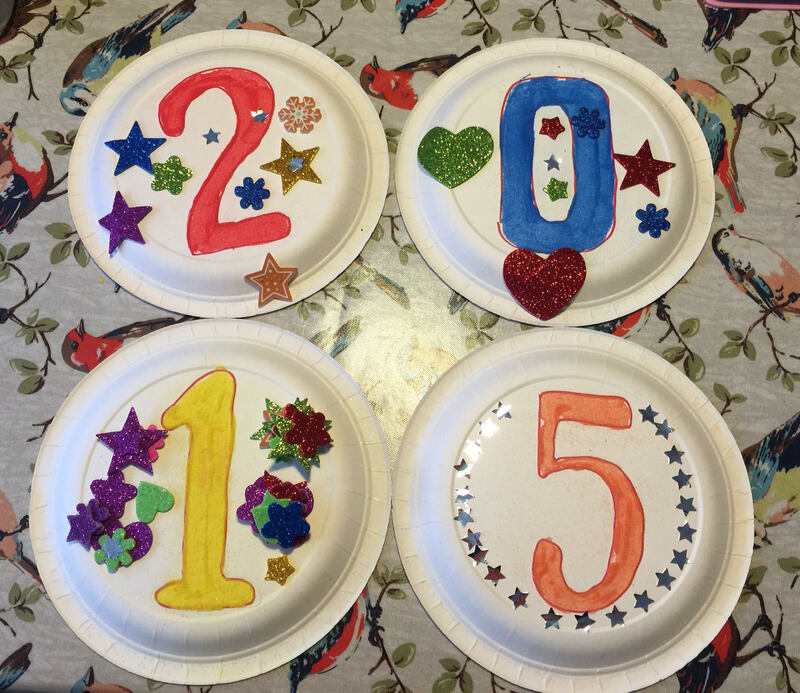 The children have already requested that we hang our paper plate decorations in the window on New Year’s Eve. I think they make a sweet and quick New Years’ decoration. I would love to hear how are you celebrating the New Year with children? These are a great way to get them understanding years. I need to do them for numbers because N makes no attempt to recognise them! We don’t do new year’s eve. We don’t even stay up for it…well, maybe I will do this year, but OH has to keep an eye on the cows as they’re calving, and then gets up at 5am the next morning so staying up late for him isn’t really an option. 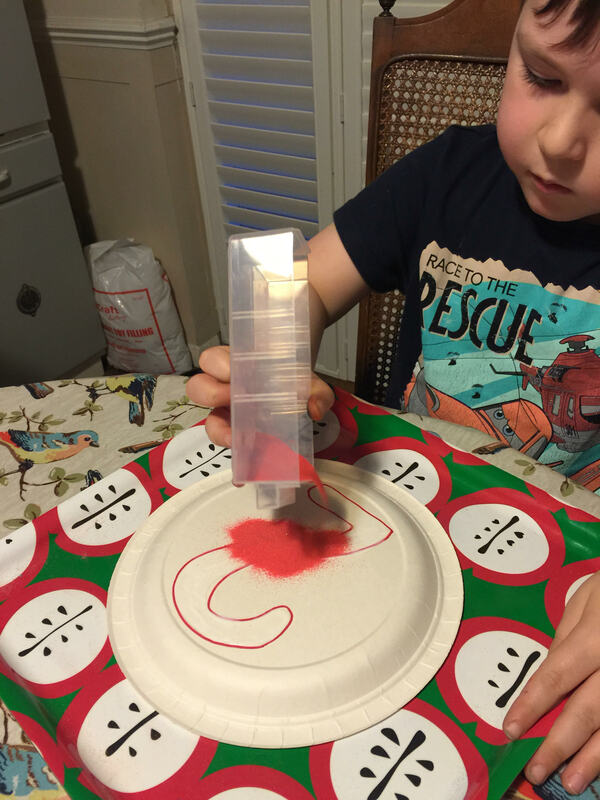 Thats such a cute way to learn your children what a year is! Looks like so much fun as well. Hope you have a lovely new year, wishing you all the best for 2015. What wonderful ideas, I wish I had seen these before today (little lady is at Nannies now) oh well next year, thanks for sharing. need to get some plates! Great idea. 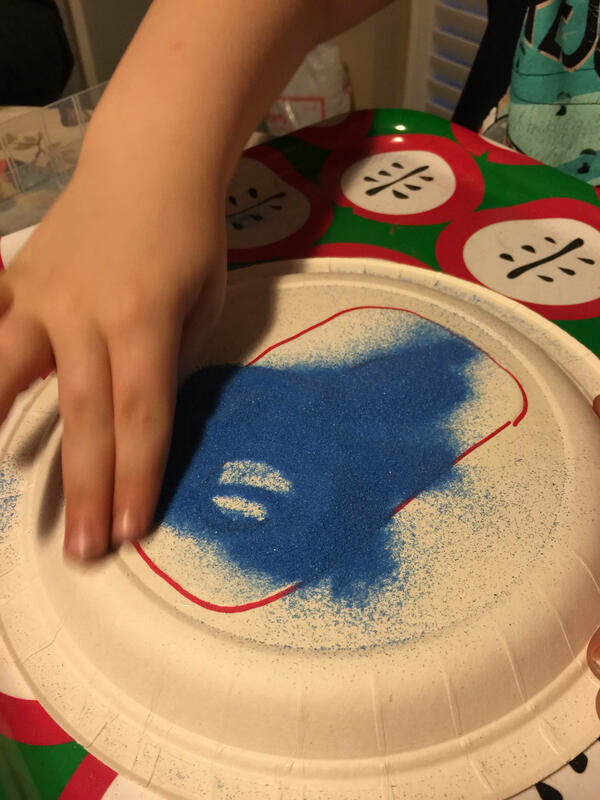 Painting with sand makes it very different and I love that they added the stickers for more sparkle themselves. They look fab.